All pianos in the home need to be tuned at least once every six months after it is stable in order to reasonably maintain pitch. If you are a church, school or some type of institution where the ac/heat is turned on and off daily or raised and lowered depending if the structure is occupied, a maintanence tuning schedule of once every four months would be appropriate. Time and the elements are the main culprits responsible for pianos becoming unstable. When humidity is high, which is pretty much year round here in the East, the pianos pitch will rise or go sharp. When it is winter and you have the dry heat on in the home, the pianos pitch will fall or go ﬂat. If you are not on a regular maintanence schedule of tunings once every six months, then your piano is rising and falling in pitch throughout the year. Unfortunately, the relationship between notes and octaves narrows and widens as Mother Nature goes through her changes. The piano cannot maintain its tune with the shrinking and swelling that this mostly wooden instrument is going through. Regardless of your home being new and well insulated or older and not so insulated, it is being affected by the changes of the atmosphere. Iʼm sure everyone has experienced the sticking doors, drawers and cabinets when humidity is high. Your piano is going through the same changes. It’s important to realize that your piano is tempermental and can be very sensitive to environmental changes. What can you do to help circumvent the affects the elements have on your piano and its tune? Place your piano in the home where it is least likely to be inﬂuenced by the whims of Mother Nature. Locate your piano on an inside wall and away from windows and doors that lead to the outside. Outside walls and doors directly react to weather changes and will negatively affect your pianoʼs stability. Make sure you have not placed your piano directly under an ac/heat vent or up against the wall where the house air return is located. This acute cool or hot air ﬂow will also destabilize your piano. Lastly, play your piano. An idle piano combined with high humidity tends to develop sticking keys. The strings of an idle piano tend to move from their various contact points allowing different tensions to exist between these points. 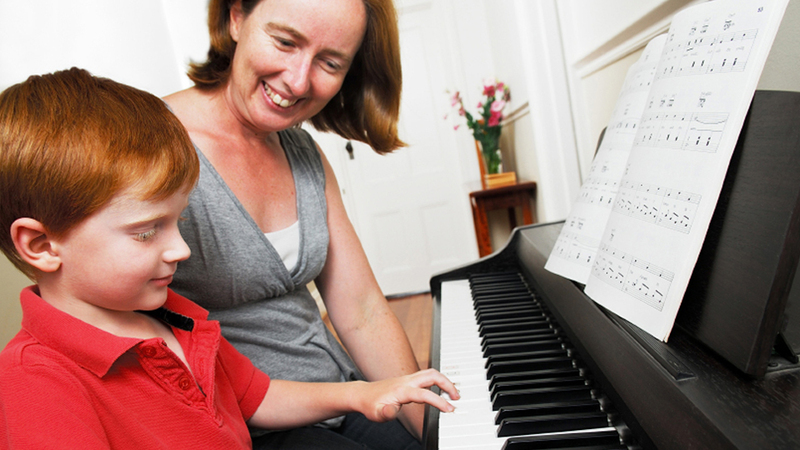 With regular playing, the vibrations of the strings and movement of keys will help to keep your piano stable. Call 919 260-8860 or email me now to discuss your individual piano needs and pricing. Make an appointment today.